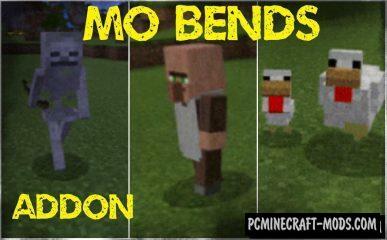 This addon is able to add new animations for different mobs. Now their movement will be more realistic, because the movement will move new body parts and other small parts of the body. Dinosaurs in Minecraft – this is a very dangerous thing, because they have a huge size and can absorb the whole person. 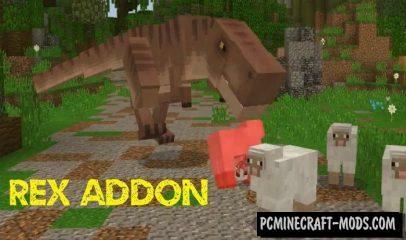 This addon will add one of the most dangerous dinosaurs that we know – a Tyrannosaurus Rex. 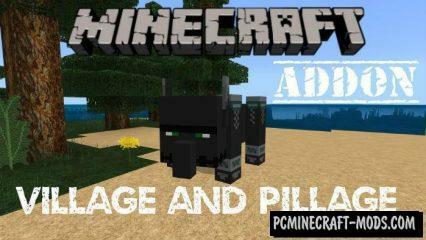 Minecraft 1.8 Village and Pillage Update Addon is a concept of innovations that will be added to the upcoming update. 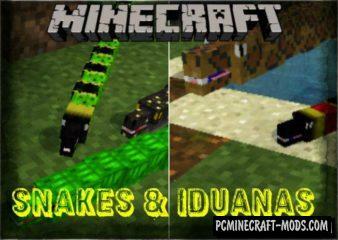 This mod contains new mobs, weapons and blocks. With each update of the addon, the list of innovations will expand. Now dungeons and caves in Minecraft 1.8 will be inhabited by new Mineral Monsters. They perform only one function – to protect the precious ores. 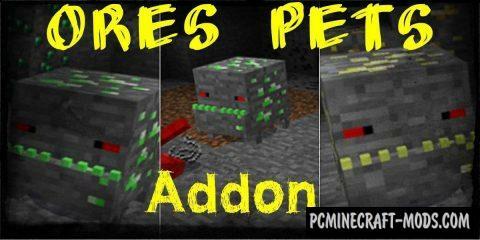 Great addon to add new friendly mobs to Minecraft PE 1.8. This will add more than 5 different NPCs that are able to do different work in exchange for items. This will diversify the game and make it easy to survive. Nether Plague Mod adds in Minecraft Pocket Edition all the mobs from the same popular map. Most of them are incredibly strong, and some are even considered bosses. Furniture mod is a great addition for players who want to add to Minecraft more decorative blocks. Thanks to this mod, there will be 15 new units of furniture and painted glass. 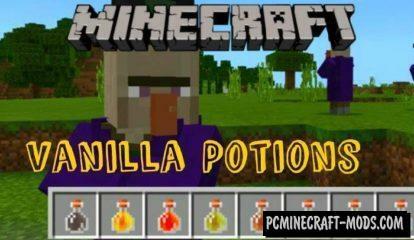 Now you can get 8 new potions from Witch. Each potion has completely new effects that have never been seen in the game before. Minions is yellow, small, cylindrical, creatures that are famous from the cartoon called Minions.